Are you looking for a proven social media lead generation strategy for real estate agents to generate free & ongoing real estate leads for real estate business? Why would you try to figure it out on your own, when there are top real estate agents like Ben Kinney, that are willing to share with you how they use social media to generate real estate leads at the highest level. 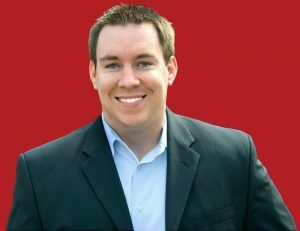 If you’re not familiar with Ben Kinney, he is a Keller Williams mega producing agent whose real estate team did over 530 transactions in 2011. He’s also the founder of IMSD, the Internet Marketing Specialist Designation(Discount Code: TopRealtor), a online lead generation training program and designation for real estate agents, where he shares his entire real estate business, the same things he’s doing that lead to his real estate team having over 530 transactions last year. No one is better at sharing practical and actionable real estate training that leads to more real estate business (and that you can start to work on right away) than Ben. In this recorded. Watch this recorded realtor coaching presentation below and start learning and building a proven social media lead generation strategy to take your real estate career and real estate business to the next level. This presentation was recorded during the April 19, 2012 RainCamp event that was attended by over 1600 agents.